If you are following me on Instagram you would have seen that I have recently taken to Hydrofit. While I get this luxury only in Bangalore since the *only* classes held in India are in that beautiful city, I make it a point to go everyday now that I am primarily in Bangalore. I had a lot of people asking me about this workout and I thought I would take this opportunity to answer all the questions at one go. HydroFit is not swimming. 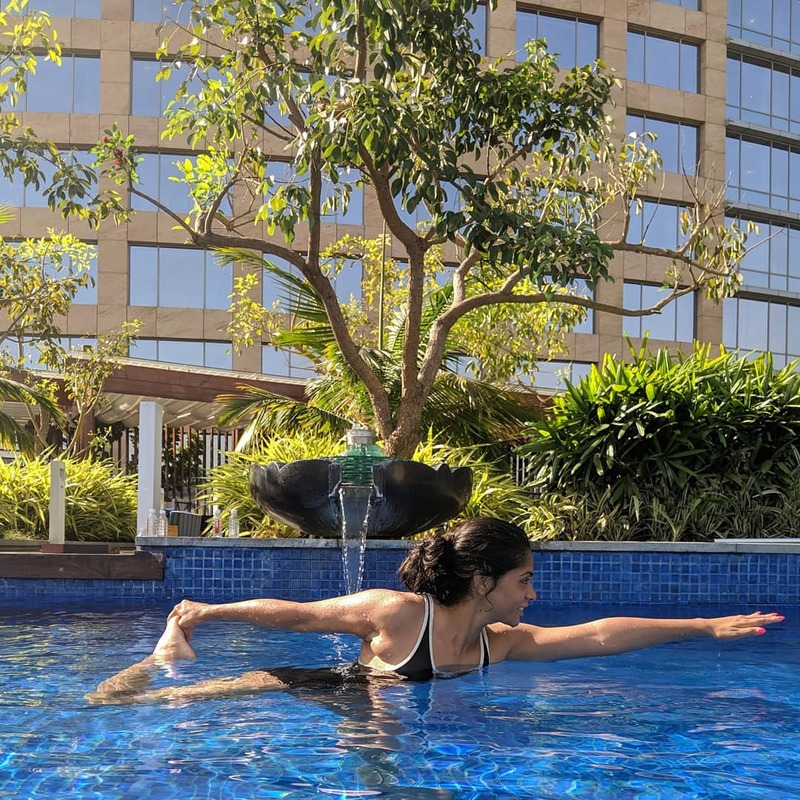 HydroFit combines HIIT training and strength training and is designed by Pooja Bhatia Arora who resides in Bangalore. I recommend this as a great form of workout for almost everyone. If you’re looking for fun workout options you can choose this as your primary workout, but if you are an athlete or a sports person or are used to intense level of workouts, this form of fitness is recommended thrice a week, along with regular training. This entire form of workout was designed by Pooja when she was diagnosed with arthritis right when she was at her fittest best. If you look at her today you won’t think this fit mermaid is a day older than 35. And don’t worry if you don’t know how to swim – I worked out with a whole bunch of people who didn’t know how to swim but since the workouts are in shallow water and require you to stand (you can choose the corners if those make you comfortable) you can definitely workout in the pool, provided you don’t have a fear of water.